For episode 139 of Cyclocross Radio, the TDDTIE crew breakdown the Cyclocross World Championships and the latest DVV and Super Prestige races. But more importantly, David Palan breaks the story of the season. 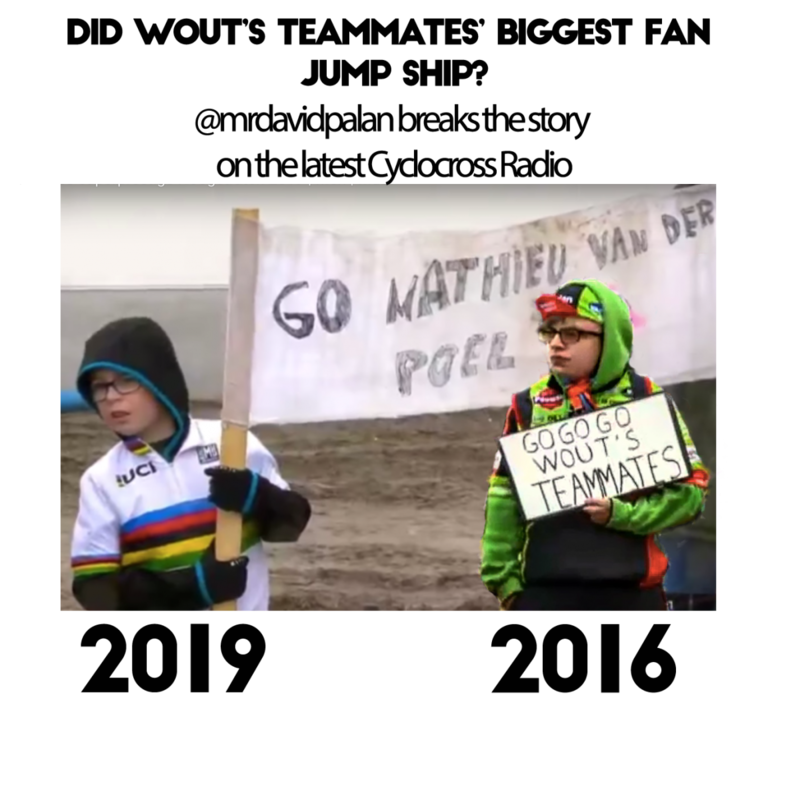 Did Wout’s Teammates’s biggest fan jump ship to team van der Poel? Tune in for the scoop. Check out Cyclocross Television for recap and commentary video from the latest (predominantly) U.S. UCI cyclocross events (subscribe to the channel, give a thumbs up and leave a comment): www.cyclocrosstelevision.com.